2:25 – We’ve finished lunch at Be Our Guest and I pull out my iPhone, because I remember we have FastPass+ reservations. I see that Enchanged Tales with Belle has a return time from 2:25 to 3:25. Perfect! An hour later we were cruising around Fantasyland and passed the Princess Fairytale Hall. This was a new attraction since my last visit, so I knew we should visit even though my son isn’t “into” princesses and neither of us have the patience for character meet and greets. But the standby queue were 90 minutes long for both sets of princesses. 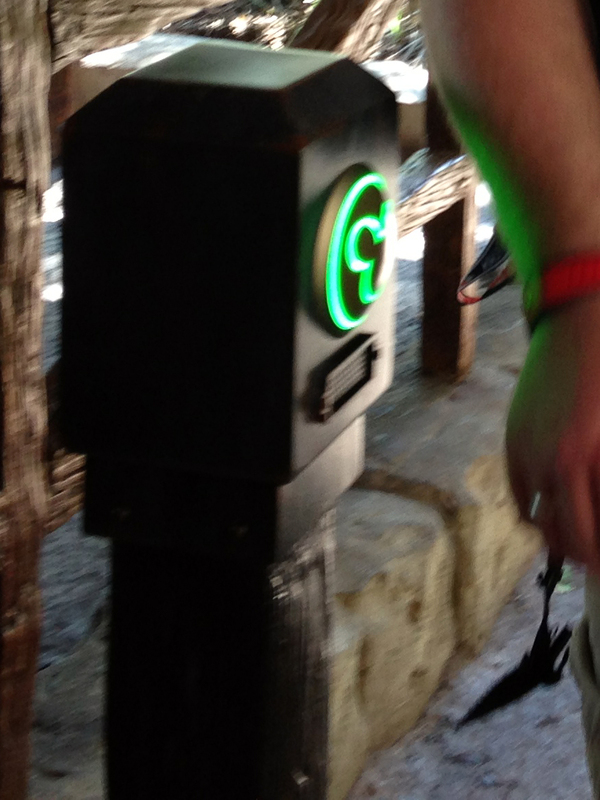 So standing in the shade across the street, I got out my iPhone to see if I could get a FastPass+ instead. It seemed a little crazy, true, but why not check? I found that I was able to modify one of my two unused FastPass+ reservations and I got a FastPass+ for Princess Fairytale Hall in just 10 minutes! I was so excited about this, I even posted on Facebook right afterward! Epcot: Guest Relations, Tip Board, International Gateway, FutureWorld breezeway, Soarin’ FASTPASS distribution, Mission: Space FASTPASS distribution, Captain EO FASTPASS distribution, and Maelstrom FASTPASS distribution. 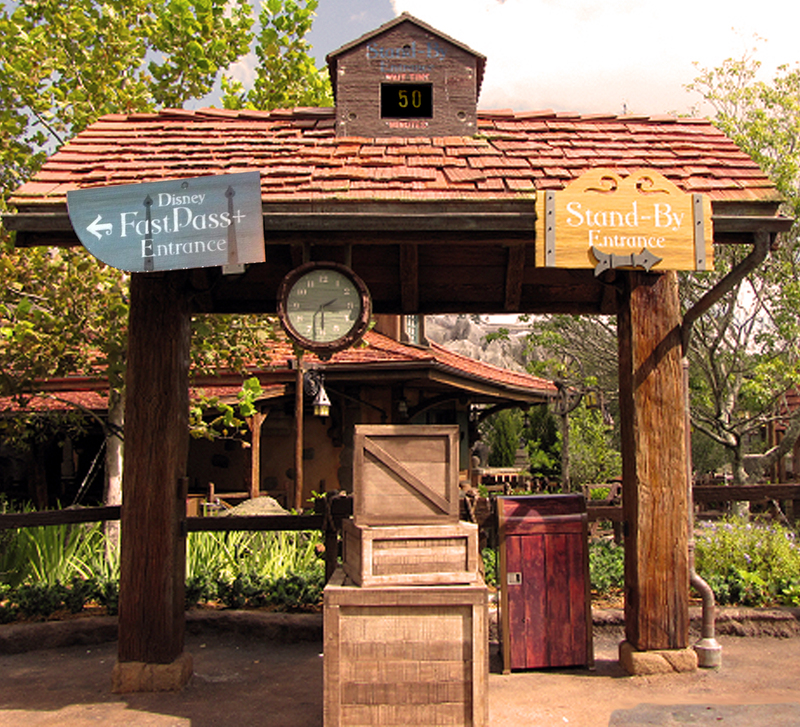 Disney’s Animal Kingdom: Guest Relations, Disney Outfitters, Kali River Rapids, Expedition Everest FASTPASS distribution, and Primeval Whirl FASTPASS distribution. 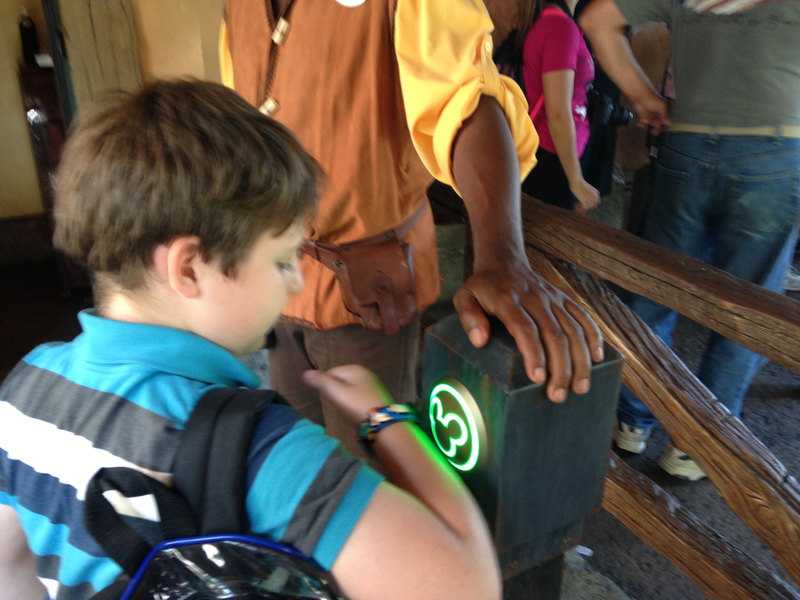 We had only one “bad” experience with FastPass+. On our last day, I made a FastPass+ for Meet Mickey at Town Square Theater. Only three time options were given, and I chose the best possible one (11:35-12:35). We were coming from Downtown Disney (had to visit that LEGO Store) and we did out best to get to Magic Kingdom in time, but we were late for our FastPass+ return time by 5 minutes. We tried anyway, hoping there would be some leeway built in, but no — the readers turned blue and we were told (nicely) that we could talk to the Cast Member about 10 yards away (there is a MyMagic+ kiosk here). Looking at how short the standby line was at that point (maybe 10 people? ), we decided to just wait. I wish now I had spoken to a Cast Member to find out what they would say, but — try as I might — I can’t manage to do everything I want. So what would I change about using FastPass+ in the parks? I’d love to have more options for return times. I’d love to be able to change an unused FastPass+ for a new one in a different park (remember, you’re currently limited to three FastPass+ per day, and they must all be in the same park). Finally, I’d like some sort of little watch or timer slider for my MagicBand that not only gives me the current time, but also beeps or alerts me in some way when I have a FastPass+ reservation coming up or active. How cool would that be? What are your experiences, good or bad, with FastPass+? Please share!